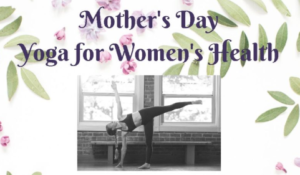 Join Kristin Bosteels for a very special Mother’s Day, Yoga for Women’s Health class where she will share her passion and love for the power that yoga has to bring balance and healing to women. Kristin is a breast cancer survivor who has used the practice of yoga to overcome incredible challenges both physically and emotionally. Her mission in life is to share the knowledge she has gained to help empower women to live their best lives. This workshop will benefit all….. men, women, sisters, mothers, brothers, fathers, friends, yoga teachers and any other healers interested in adding knowledge to their ownselves and to help others. This workshop is not included with the intensive that is offered from May 8-11th.